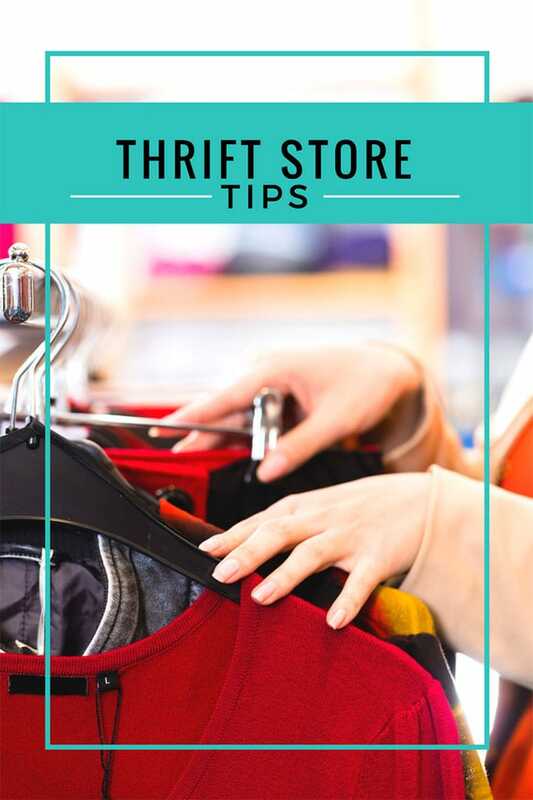 Thrift store shopping tips including how to thrift shop, what to look for at thrift stores and helpful tools to take with you while thrift store shopping. I compiled a list of my top thrift store shopping tips for you, because thrifting is my life. OK, that might be pushing it a bit, but I do like to get my thrift on! When I was a kid my mom dragged me into thrift stores kicking and screaming. It definitely wasn’t my favorite place to hang out, because what 10 year old loves to look through piles of “old” clothes. At that point in time, I’d rather be playing Kick The Can with the neighborhood kids or just about anything other than shopping with my mom! It wasn’t until I was out of college and money was tight that I popped back into a thrift store to look for some deals on furniture for my first apartment. I started looking around and I FELL IN LOVE with all the cool stuff and all the cool prices! If only I had realized how fun thrift store shopping could be when I was a kid! So although I missed out on a good 15 years of thrift store shopping, I have more than made up for it since! 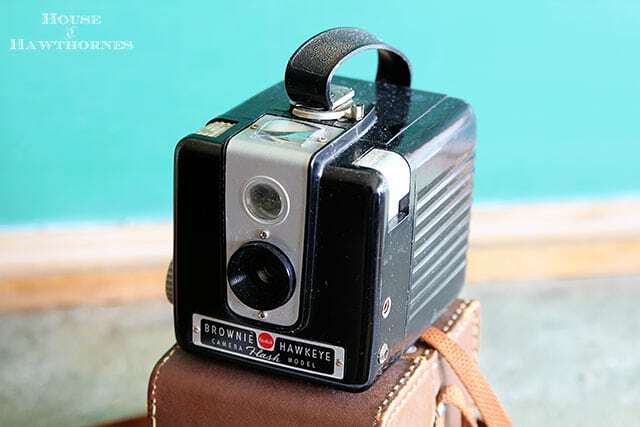 If you go in the thrift store looking for a vintage Kodak Brownie Hawkeye camera, then chances are you will be highly disappointed. You might not come away with exactly what you had been looking for, but there are still finds to be had so keep your eyes peeled and your mind open to new possibilities. I have good days and I have bad days. Just because a store is a dud one day doesn’t mean that a person isn’t going to drop off a killer donation at that same store tomorrow. But not necessarily when they first open. I find if I go first thing when they open the shelves are a little bare. You’ve got to give the employees a chance to get the newly donated items priced and onto the shelves. People will clean out their garages over the weekend and then drop off stuff to the thrift stores the first of the week. (Or if you are like me, keep it stored in the back of my van for a month or two and drop it off when I get tired of the crystal lamp rolling around back there). Late afternoon Mondays and Tuesdays are prime thrift store shopping time! I’ve found the best stuff in thrift stores in older neighborhoods. Older neighborhoods have older people and older people have the cool vintage stuff that I love (and to them it is just old stuff). If you thrift for clothing and newer items, then maybe the thrift stores closer to the higher end neighborhoods would get you better results. The ones that are filled with lots of new merchandise donated by stores. They have very few items donated by actual people and what they do have is very much curated by employees. Only the highest quality stuff makes it on the shelves. I prefer the thrift stores that pretty much put out anything that gets donated and let me decide if I want it or not! Now with gas prices sky rocketing I won’t be doing this too often, but I’ll certainly stop by if I’m on that side of town for something else. If you find a favorite thrift store and frequent it often, you’ll get to know the workers. My local store workers have given me tips on when the best times to shop there are, alerted me to future sale days and have even dragged something out of the back room that they thought I’d like. I know where to go to see what I am interested in. I don’t dawdle. If they have nothing interesting that day I’m off to the next one down the road. Speaking of hand sanitizer, I’ve made a list of things below I like to keep in my purse while out thrifting! Not all thrift stores accept credit cards. I know it’s hard to believe, but I find some of the smaller, mom and pop thrifts are cash only! And you do not want to be out of cash when you find that mid-century modern sofa of your dreams. We’ve all been there. 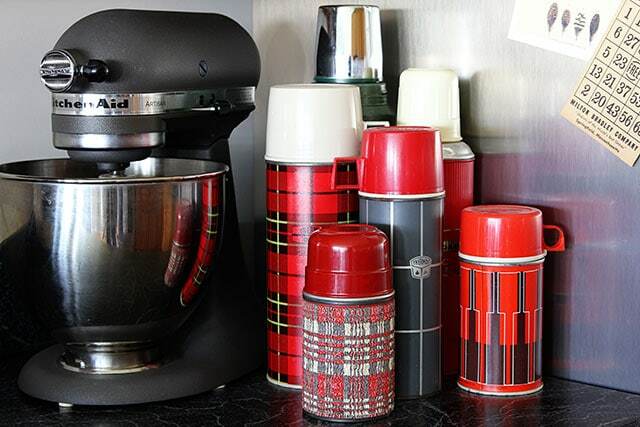 You see a really cool vintage thermos that you want to buy, but do you really need another thermos for your collection? Of course you do! If you are shopping for clothing, remember that not all thrift stores have dressing rooms, so wear something form fitting so that you can easily try on other clothing over what you’re wearing. Interested in having your own yard sale with all your thrift store hauls? 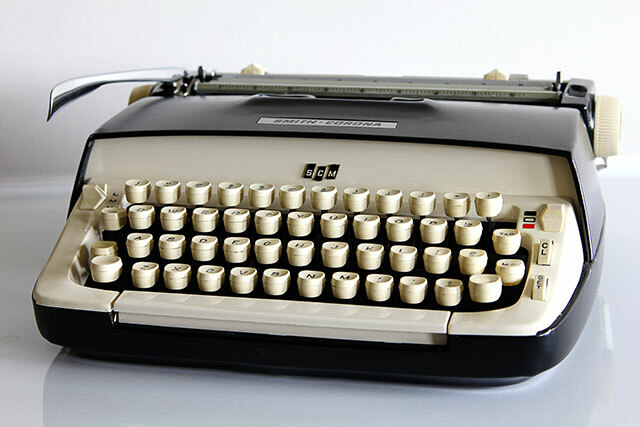 Run over and check out my 40 Yard Sale Tips For A Killer Sale (my readers are always adding more tips to the list, so if I’m missing something let me know and I’ll add it). In A Letter To All Thrift Store Workers I discuss a little thrift store pet peeve of mine. Thanks I loved all your advice. I am going to a thrift store today, I have a donation and I am going to look around. will probably bring home as much as I leave. I find those are my most dangerous days 🙂 I feel like I’ve donated so much, I must be able to bring some more stuff home, right? Watch out putting magnets anywhere near your wallet with your credit card!!! Great tips Pam, and I am guilty of driving my donations around for a while! I think I will be a better thrifter now that I’ve read this, thanks!! I love crawling through these stores, thanks for your tips, they will come in helpful! Have a great weekend! Wonderful post Pam! And those images!!! I am at a thrift store several times a week, I use all these tips and then some, but I can’t tell you how many times, I forget to bring something along to clean our hands. My husband hates getting in the car feeling like he’s got to wash his hands, so this is a wonderful tip! Good job, my dear. 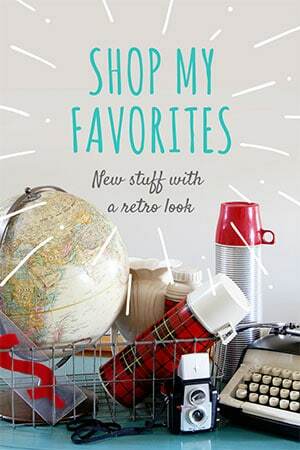 Pam, those are great tips…you are so right about going to older neighborhoods for the vintage treasures. I will say it again and again, it amazes me what you can find in a thrift store…where else would you find these treasure at this low price…don’t forget to look through the linen section, that is where I have found several real pashminas for less than $2 each. You have found some great pieces while thrifting, Pam…love the transferware! Thanks for the tips, Pam. Good idea about the hand sanitizer. Here I thought I was the only one that drove around with lamps rolling around in the back of the van…LOL, Pam! Great post and great tips! I think going often is the key. I don’t shop for hours in a thrift store anymore, either. Usually know what to look for. I need to remember the sanitizer. I have a nasty cold…Grrr! Great tips. I love your honesty about items beings stashed in the back of the vehicle. So, I’m not the only one that forgets to drop off donations. Hee hee. I think you’ve become the Queen of thrifting!! Great tips!! I have to remind this. I love the part of the lamp rolling around in your trunk lol !! Words to live by- it’s how I used to do it for sure. Also, learn to look high and low- not just eye level. Most people miss the good stuff when they don’t look up. Let the shop keepers know what you are looking for, and leave your name and number. If they call you, get right in there. Pretty soon, they will have you on speed dial! Thanks for visiting and for the sweet comments. I couldn’t help but catch sight of your wonderful blue hutch in the the post below. I love it! As for thrifting I love that too, it’s one of my favorite things to do and your pointers are right on the mark! 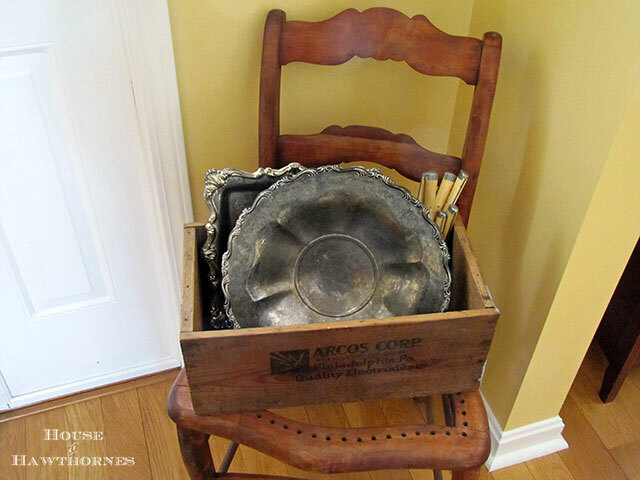 I love the box you have your silverware and silver trays in! I have seen these at antique stores and really want one but not for the prices they are asking. I am going to have to go find me some old neighborhood thrift stores! LOL! Great post! Great tips, yep I am the one with that drives around with my donations in the back of my car for a week! I”ve been a thrifter for years-but enjoyed all your tips! Great finds too! Laughing about that goodwill stuff in the back of the van – sooooo us!!! I know that at our Goodwill, we get a 20% off coupon if we bring a bag in and then go shopping – so it’s always good to find something to take in if we are going to shop. In the summer, after big garage sale weekends it is always good to shop that week – lots of loot! We enjoy estate sales as well. Like thrift stores…older neighborhoods are a key! You really do have a talent for finding great things! Thanks for sharing these tips. LOVE all your goodies, Pam…especially the wonderful dog figurine and the chocolate covered cherry box…I collect both of those, too! Hey, I want to go right now..
Great tips and I couldn’t agree with you more. I have found some great stuff at thrift stores but I go often and make a point to visit as many different stores as I can. 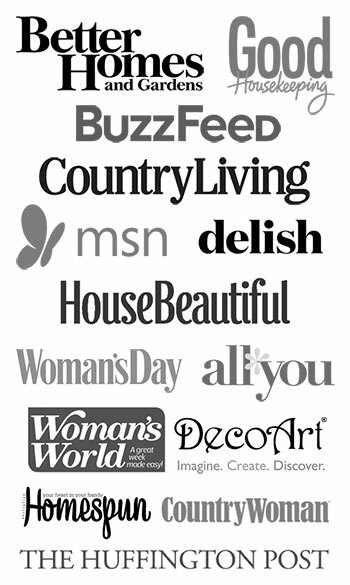 And my favorites too are the independent thrift stores….old stuff and better prices. Great GW huntn’, I love everything, an I really like those chickens,send them to me,hehehe. I would give a gold nickel if we had a GW. Hey thanks so much for your sweet comment and I appreciate your visit at LazyonLoblolly, please drop back down southeast Ga, anytime. I love the turqouise buffet,gurl it is fantastic. I’m trying to get into more color, but it is hard for me to bust out of the neutrals. But when I see beauty like this it is really giving me inspiration. 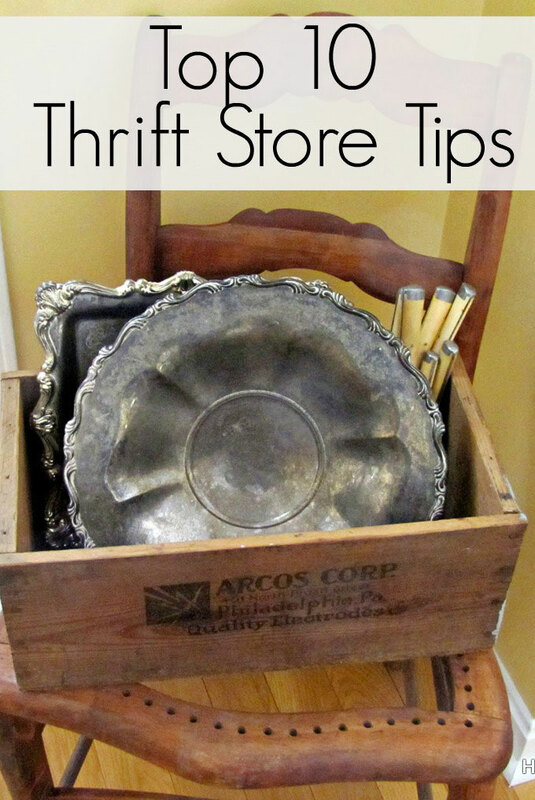 I have been thrifting since I was a teen but you nailed these tips. I like many church related thifts too as they often have sales and discounts. In my area GW is just ridicluous. We don’t have goodwill around here. I love all your tips and am also guilty of carrying around donations forever! I always bring my Salvation army coupons from the clipper magazine, they come in handy when something is priced a bit higher than I am willing to pay. Erin told me about your post…loved it! I always thrift on Wednesday’s because everything is half off at our local G-Dub. Think I’m going to start going on Mon. & Tues. now! Makes perfect sense. thank you for the great advice. Keep on pinning & Happy New Year! Idk about other stores, but Goodwill employees are not allowed to purchase from the store they work at, to keep them from “picking over” the merchandise. Only if they enforce the rules. I know at my local Goodwill, nothing of any value ever makes it to the shelves. I believe that anything of any “value” goes to Goodwill’s auction site online. And, even if GW enforces the “no employee sales,” I’d be surprised if more than one employee has had a friend purchase an item for them. You are exactly right. The Shopgoodwill.com site is giving Ebay a run for their money. As for employees getting first pick, these policies were put in place to ensure the customer a good shopping experience. I have cameras on me at all times. If your store is not following policy, then heads need to roll. 17 year employee, and darn proud of it. This author needs to get facts straight. I’m going to reword that paragraph, since what I mean by “picked over by employees” is “weeded out by employees”. They’re weeding out the vintage stuff that gets donated and only putting the newer more current clothes and housewares on the shelf. If you look around the store, there’s not a vintage item in site. The stores are filled with only new and high end designer items. I assume they send the more vintage items to one of their other stores. Good tips with going often being the very best! The killer donations are snatched up quickly and if you are there often you have a better chance of getting the good stuff. Yeah, I had to laugh at the lamps rolling around in the car comment too, except I bought them and was too lazy to bring them in my house. lol. I’m fortunate that we have a lot of estate and demo sales in the off season. (Of course I’m referring yard sale season). But I should definitely keep thrift stores in the loop too. I bought a gorgeous antique mirror at a thrift store for $60. (still kind of think that was expensive.) But I loved it and the owner of the store threw in this big serving piece to sweeten the deal. I think she was just trying to get rid of it but, oh well, I got a twofer! Here in Arizona, Goodwill has 20% off monthly printable coupon, when you spend 10.00 dlls and over, it’s good for the whole month. I’ve found some really great buys at church thrift shops. Our thrift stores do not put out stock on the weekend so I don’t have a lot of luck on Mondays though I’m not sure if I have ever been there late on a Monday. I’ll try that. I am definitely no thrift store virgin but I still enjoyed your post and am pinning it to my How to eBay board on Pinterest. One tip I haven’t seen mentioned anywhere: If you think something’s silver but the tarnish is so bad you can’t be sure, one of the little microfiber cloth squares (the kind used to clean your eyeglasses) will do a quick job of cleaning off just enough tarnish to let you see a spot of shine. It’s small enough to fit into a pocket or purse easily. Honestly, rubbing a fingertip on silver/plate will show you the shine, though finger will pick up the gray tarnish/patina. I do this on makers mark to read easier. Have found good buys near closing times, go figure. manyshops llike goodwill, has as is lots. veery discounted area. and also take a good set of work gloves to keep your hands clean. by the way a tarp in your trunk or in where ever you plan to face your items will help to keep you clean. Great post… I love the pictures! I also love to visit thrift stores! I live in the Central Valley of Northern California and our thrift stores here are SO expensive!!! I don’t understand why they price things SO high! It kinda defeats the purpose. Great tips! I am going to share this with our thrift readers, thank you! LOVE it! And all so true! My husband still doesn’t understand how I can spend 20 minutes digging through one aisle! This makes me want to go shopping! Which is your preference? Goodwill, Value Village, St Vincent or others? I would love to hear your opinions on the pros and cons of each! I’ve debated writing my own post on the subject 🙂 but if you do I’d love to read it! Well around here we have Goodwill, Salvation Army and Volunteers Of America. I hardly ever go to Goodwill anymore, just because the ones in town are overpriced and too many items are brand new items from store closeouts. Salvation Army and Volunteers of America are both really good though. You HAVE to write that post though!!! That would be fantastic! BTW, Have you seen my Letter To All Thrift Store Workers? It’s my pet peeveat the thrift stores – https://www.houseofhawthornes.com/a-letter-to-all-thrift-store-workers/ . Reading it now! I also have a great post about cleaning milk glass and removing tags. I’ve noticed that Value Village has really sick tags that practically ruin the resale of wood or painted items when trying to remove them. Perhaps I’ll find a note on that to employees about tags placement in your letter! We have a Goodwill Outlet where I live. What an experience! the first couple of times I went there I was shell shocked but now it doesn’t really phase me. Everything is by the pound. by. the. pound. brings good gloves & lots o’ hand sanitizer & an open mind! Great tips!! I need to find the older neighborhoods. I try to remember to bring a tape measure as well if looking for certain dimensions ???? I love thrift stores.And Senior citzens day..! At most stores. So dont forget to get your discounts.It makes a big difference.Every little bit counts. OMGosh! I love your “Tape Letter” … How many times have I literally ~ almost tearfully =(. passed up a woooonnnnderful item just because it was ruined by their tape happy employees?!? Another of my pet peeves is that invariably my most desired found objects are MISSING their TAGS. How can this be possible? But now that they know me and my gal pals, they will often break their rule and price it right then, instead of starting it back through the “system” at “Go” … !!! 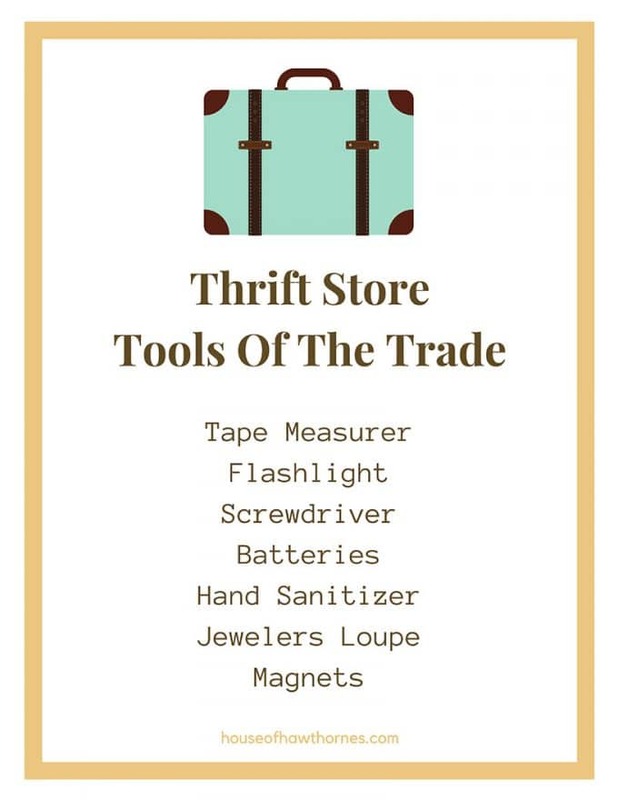 Great tips, Pam … Makes me want to go thrifting right this minute! As far as goodwill’s go I think it depends on your location because here goodwill’s have gotten me Brownies, Polaroids, a medium format Mamiya, bizarre dolls, mounted butterflies, a wardrobe of vintage clothing, etc… So I’m not sure if it can really be a rule to stick by vs a play it how you see it type thing. I do hate how all places thought seem to be using the internet to price and then end up pricing items higher then they would ever go in normal retail. When I shop in a thrift store, I always look beyond the grime for an item’s potential. Picked up many lovely things this way. And please don’t try to haggle with thrift shops that are supporting a good cause. If anything, let them round up your total and let them keep the change. They need your support. Goodwill is no longer on my list of shops as all the stores in my area are owned by resellers so they pick out all the good stuff. In about a dozen visits, I never found anything worth what they were charging. Not sure what their vision is any more. Great idea about rounding up! When I go to church rummage sales in the spring (it’s a big deal around here), they hardly ever price their stuff correctly. I bought a Hull Pottery vase for a quarter one time. Well, not really, when I got to the check-out lady I donated $20 to the church to make up for their weird pricing 🙂 I would have felt like I was stealing it for just a quarter. Great tips – some things I never really thought of. Plus I love your humor! ? Thanks. I think these are great tips! However, I live in Los Angeles and there aren’t many “old” things or older towns here. The prices are high, in my opinion. I have great success when I visit family in upstate NY, but I can’t go as frequently as I like. Any suggestions? Thanks! They have that flea market at the Rose Bowl. I’ve never been, a little far for me :), but I know other people rave about it. I also found this article from the CBS station out in Los Angeles that lists their top picks for flea markets and thrift stores – http://losangeles.cbslocal.com/top-lists/top-flea-markets-in-los-angeles/ . When I went to our Salvation army store drop off section, I saw so many vintage items and furniture. Plaid blankets, old wood bird cages, beautiful lamps and more. I inquired as to when these items will make it to the front section and I was told that they actually will be loaded on a truck going to another Salvation army store in a bigger city that is an hour away. I was quite disappointed as our store doesn’t have much in vintage or collectible items, it has a nice selection of clothes but every time I dropped off stuff, I see so many awesome items. I did ask the ladies working there if they get to buy anything before it is shipped out and I was told they were not allowed. So I guess a road trip to Binghampton’s Salvation army store is in the future. PS My mother in law was boxing up her brother’s never been worn pajamas and shirts in their original packaging. One in particular heavy so she took it out of the plastic and found $13,000.00!!! She said she went through more of his never worn clothes and found quite the stash, however she had no idea how much she had already dropped off in her first trip to the donation center. When I asked the crew at our store if they ever found money, I was told they can’t answer that….Hmmm. One of the Goodwill stores close to here only has newer items. No vintage at all and they do the same thing – ship it off to a larger store 🙁 And, wow! That’s a ton of money to stuff in his clothes! It probably made perfect sense to him when he was doing it though!!! I live in a part of the U.S. where winters can be brutal. I like 100% wool or down coats. Poly blends don’t cut it when its 10 below 0 windchill! I have gotten my most stylish and best quality coats by hitting Volunteers of America in August, September when they start pushing fall wear. They don’t put these out during spring/summer but people continue donating them all year, so shopping early for autumn gives you best pick of what has collected over the warm seasons. I live near 2 Goodwill, , 1 is okay, the other really good ! My recent best finds ? Leather indoor soccer shoes, almost new ! for $20, great for every day wear as the mini cleats don’t damage floors (retail $80- $120 !) A long scarf for $10.00, still had the original price tag on it for $69 ! A nice heavy duty canvas cross body bag , $10 ! Retail $30 and up. 5 nice wooden white dining room chairs, $4.99 each ! Nice ladies jeans , 7.99. A beautiful warm cashmere sweater $12.00. I try to visit once a week, and keep an open mind. You just never know what you’re going to find !! Here’s a tip if, like me, you donate more than you shop. Box up those unwanted holiday items and label them “Donations October”. I dropped off some items at our local Teen Challenge store in January. They thanked me most sincerely when I gave them the good news that none of them were Christmas decorations and that I would be back in the fall with two boxes currently stored in a hall closet. I LOVE this post! Sounds just like what I would be thinking. As a fellow thrift store addict you had some really new and good advice I hadn’t thought of (aside from the hand sanitizer lol). Thanks a bunch! I love your post! As a fellow thrift store junky myself I learned a few new tricks I haven’t thought of yet (aside from the hand sanitizer lol). If any of you visit Florida, (at least along the east coast) there are many Goodwill stores not far off 95. You will find all kinds of things because there are a lot of fancy neighboods but also a lot of older people who have bought all kinds of goodies they do feel is just “old stuff”. Also people who are just downsizing so they can travel or whatever. We have Salvation army stores too but other than that they are all stand alone shops. It is fun to get to know some of the owners and drop your donations at the stores that you have the most fun shopping at. I like to carry a small blacklight flashlight to shine on Vaseline glass. If itlights up, its the real deal.